CRP Technology, part of the larger CRP Group, is well-known for its 3D printing applications in the automotive sector, but lest we forget that it is also accomplished in aerospace 3D printing, the company has come out with a new case study about its work creating a new 3D printed wind tunnel model (1:8.5 scale) of the Leonardo TiltRotor AW609 for the Leonardo Helicopter Division (Leonardo HD, formerly known as AgustaWestland). According to the case study, CRP Technology was able to “highlight the perfect union” between its advanced SLS 3D printing technology and high-performance, composite Windform materials – particularly its Windform XT 2.0, a polyamide-based carbon fiber reinforced composite. Metaltech S.r.l. designed the model. These goals are why Leonardo HD was referred to CRP Technology – it would be able to meet these goals while 3D printing the external parts for the wind tunnel model, which was designed, manufactured, and assembled in order to complete a series of dedicated low-speed wind tunnel tests. Some of the parts that were 3D printed for the wind tunnel model include nose and cockpit components, fairings, external fuel tanks, rear fuselage, wings, and nacelles. The level of detail that went into these 3D printed parts “is crucial to the applied loads to be sustainable,” as the wind’s aerodynamic loads in the tunnel are high. So load resistance was one of the more important project aspects, along with maintaining good dimensional tolerances, under load, of large components. “It is important to remember that the performance of these components affects the final performance of the entire project, especially because the external fairings have to transfer the aerodynamic loads generated by the fuselage to the internal frame,” CRP Technology wrote in the case study. CRP analyzed the dimensional designs that Leonardo HD had sent in order to make the best composite material recommendation: its Windform XT 2.0, with high heat deflection, increased tensile strength and modulus, superior stiffness, and excellent detail reproduction. “The choice of the Windform XT 2.0 composite material was not casual, all the goals required by Leonardo HD were considered, such as the importance of a short realization time, good mechanical performances and also good dimensional characteristics,” CRP Technology wrote in the case study. It was necessary to 3D print the single parts separately, as “some components were dimensionally superior to the construction volume of the 3D printing machines,” but CRP Technology was able to complete the project with no time delays. The company used CAD to evaluate the working volume’s functional measures in order to determine which parts to split, and to figure out how to maximize contact surface where structural adhesive would be added to the model. It only took four days to 3D print the various parts of the components. The completed model underwent surface finishing, before it was assembled by Metaltech S.r.l. and mounted directly onto a rig assembly, so any small imperfections resulting from single components being put together could be optimized. Thanks to CRP Technology, this step was finished very quickly, and Leonardo HD was able to efficiently flatten the model’s surface and treat it with a special liquid to both prepare for painting and make the model waterproof. Leonardo HD needed to review the behavior of the aircraft, and so completed a high-speed wind tunnel test campaign, which encompassed speeds Mach 0.2-Mach 0.6, on a new 1:6 scale model at NASA Ames Unitary Plan 11′ x 11′ transonic wind tunnel. The company called on CRP USA, based in North Carolina, to speed up the process, using its partner company’s SLS 3D printing and Windform XT 2.0 composite material to make the external fuselage and some additional components. While the architecture of the new 3D printed model, which spanned nearly 2 meters, is similar to the original AW609 version, some improvements were made so remote controls could be used for the wing flaperons and elevator surfaces. Additionally, by using four different 6-component strain gauge balances, all the loads were able to act on the complete model, the nacelle, the tail surfaces, and the wing alone. The model was constructed in such a way as to be mounted in the transonic wind tunnel on a single strut straight sting support system. 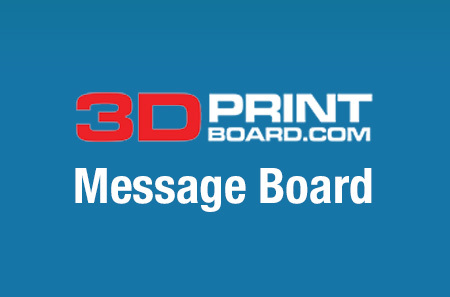 Discuss this news and other 3D printing topics at 3DPrintBoard.com or share your thoughts below.